May 3rd, 2018 | Posted by Velda in ACUPRES.,MERIDIANS, REFLEX. Dr. Carol Look is an International workshop leader, author, intuitive energy healer, psychotherapist, EFT Master, and is featured as an energy therapy expert in leading documentaries on the Emotional Freedom Technique. EFT or Tapping, is self-administered acupressure combined with cognitive and behavioral therapy techniques. It literally involves tapping acupressure points on your body with your fingertips while engaging in self-talk (often out loud). In this way you coach yourself through strong emotions when overwhelmed or stressed and send a signal to your body to calm down. 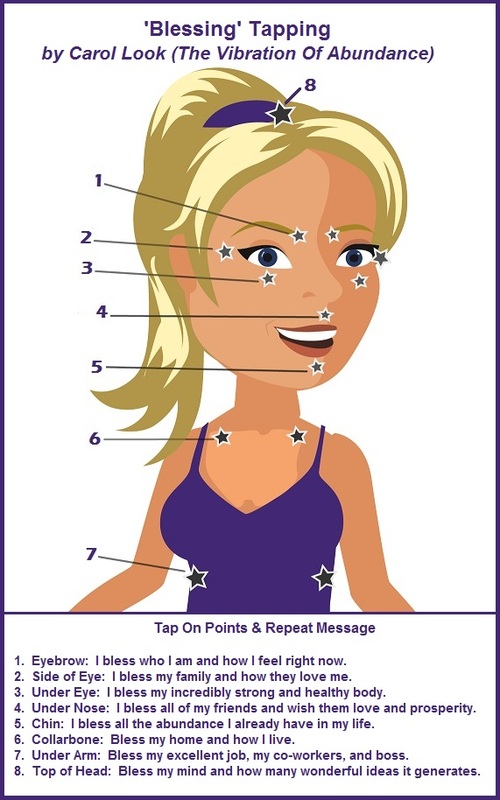 Carol Look suggests doing at least three rounds of EFT ’Blessing’ Tapping (illustrated above). This is done with two or more fingertips. Most people use their dominant hand. Tap approximately 5 times on each point. Where there are two identical points on each side of the body, you can choose to do only one side or both. 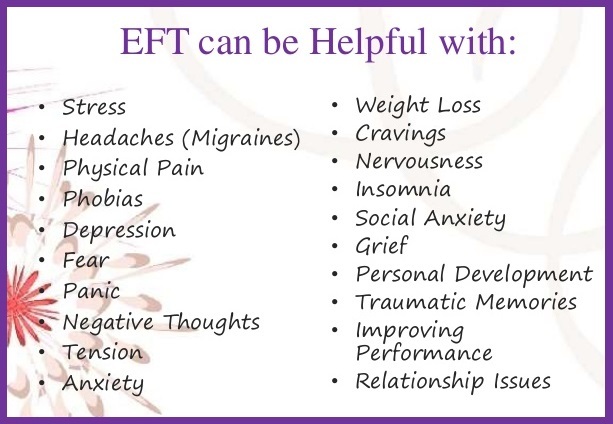 EFT “taps” into our energy system to help balance it and restore the flow to keep it running smoothly. ARE YOU READY TO EXPERIENCE EFT TAPPING?